Recently I had a conversation with a Professor at UC Berkeley about the subject of Power. In the course of the conversation he referred to what he saw as key centers of power. People who he saw as exercising real power. He referred to great generals, political leaders and Wall Street. 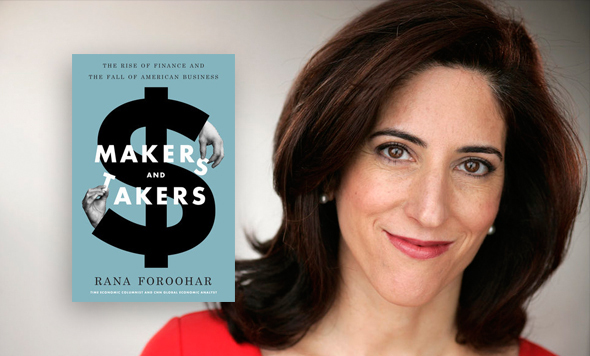 Wall Street was once a reflection of America's business. It was there to serve business. Today Wall Street and the business of finance is it’s own power center. It’s often greater than and in control of the whole of American and even global business. Wall Street has become THE symbol of corporate greed. Railed against by politicians, analyzed 24/7 on several cable channels, the focus of it’s own newspapers and it’s stars, people like Stephen Schwarzman and Lloyd Blankfein, gracing the covers of magazines. So how did this happen? How did Wall Street and the business of money become bigger, more powerful and more important than the business it was originally there to serve. Power...it’s not what it used to be. Whether we want to believe it or not, every relationship we have...with a friend, a spouse, a child or co-workers, has a power dynamic as a part of it. Power may shift and morph, but it’s a part of every relationship and often a force for good. In understanding power at this most intimate level, we can better understand how it plays out, or should play out, on a more macro scale. It’s not something that comes from the barrel of a gun, or from bullying, but from empathy and social intelligence. 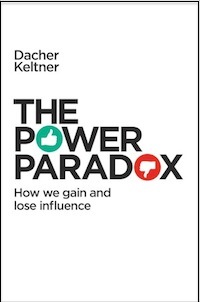 As UC Berkeley professor Dacher Keltner points out, power is not something that’s won, but something that’s earned and given. The problem or paradox is that once we have that power, we act differently; often counter to the ways in which we earned it. We throw around the word globalization without really thinking about all of its impacts. The instant and free flow of goods around the corner and around the world comes with a cost. The iPhone delivered overnight from China, the speciality coffee from around the world, the stores filled with goods from hundreds of countries. Rarely do we stop to think how all of this gets to us. Sure we see or even complain about all the trucks on the road. But that’s only the end of the journey, sometimes the last mile. Many of items of daily life travel hundreds of thousands of miles to reach us. Think about all those container ships at every major port in the world. Beyond this, the story of traffic and of our cars, only compounds the problem. What successful community is not dealing with the scourge of traffic? That’s the hidden story that Pulitzer Prize winning journalist Ed Humes tells in his new book Door to Door: The Magnificent, Maddening, Mysterious World of Transportation . We live in a world of bombast and noise. Sometimes it seems the volume is turned up full blast, all the time. A quick look at our Presidential campaigns is ample evidence. For young people, trying to find their place in the world, sometimes growing up amidst this cacophony of a boiler factory is not the healthiest thing. 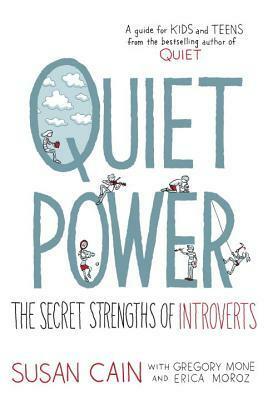 This is the world that Susan Cain took us into in her bestselling book QUIET: THE POWER OF INTROVERTS IN A WORLD THAT CAN’T STOP TALKING. The poet William Blake talked about art as “seeing the world in a grain of sand.” I suppose that what he also meant was the ability to move in so tightly on something, that inside of it, we could construct an almost fourth dimension, through which to view the world and our experiences in it. 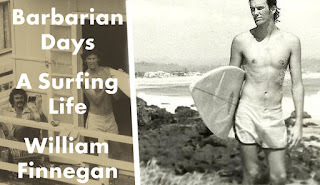 In a way that’s what New Yorker Staff writer, author and Pulitzer Prize winner William Finnegan has done with surfing. Are Riots and Insurrection on the Horizon? Not since the 1960’s have we lived in a time of more public anger. Today, issues of race, economic disparity, power imbalance and distrust of traditional institutions, have all conflated to bring us to what some believe is the brink of insurrection. But given the anger, given technology, given the immediacy of communication, what might riots look like today and are they on the horizon. Joshua Clover, a professor of critical theory at UC Davis, thinks they are. He looks at the history in Riot. Strike. Riot: The New Era of Uprisings . A Scottish writer, back in 1915, coined the phrase “think globally, but act locally.” While it was about grassroots movements, it could just as easily have been about our understanding of the universe. The fundamental laws of physics which govern the workings of the cosmos, are not some abstract untethered set of rules. 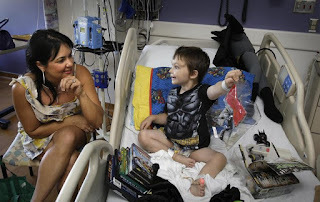 They have a direct impact on how we live and on the very meaning of human existence. It has to. After all, it’s the only way we can look out on the vastness of space and time, and ask ourselves what’s it's all about, and what's my place in it. 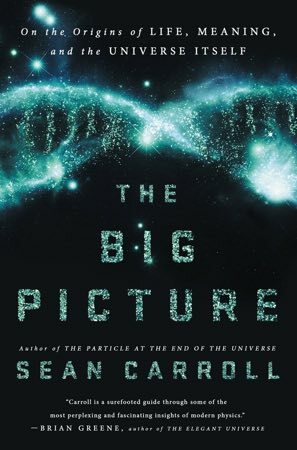 Few ask these questions and find answers as well as Sean Carroll, a renowned physicist at Cal Tech and the author of The Big Picture: On the Origins of Life, Meaning, and the Universe Itself . 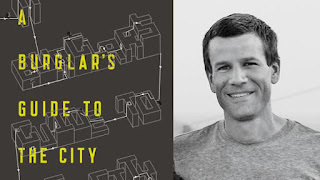 For better or worse, particularly for those of us here in the Bay Area, we have come to think of science in rather utilitarian terms. A better phone, a better app, or a better car. In fact science, especially theoretical physics, is or should be the real lens through which we see the world. It is our understanding of the larger universe that shapes how we see our place in it and that more than the latest gadget, shapes our times. 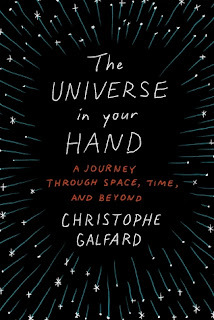 It’s why we need to understand that world and why we need guides along the way like Stephen Hawking and Christophe Galfard. 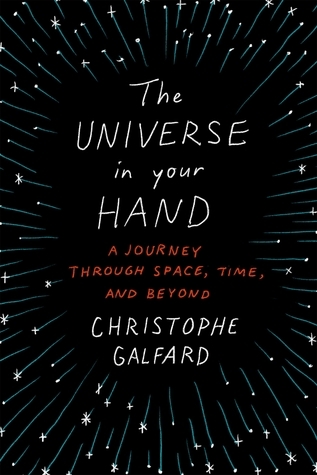 Galfard, a protege of Hawking and has just published The Universe in Your Hand: A Journey Through Space, Time, and Beyond . Think about our built environment and how much of it is designed around safety and security. The gated communities, the numbers on top of office buildings, the entrances and exits, garages and elevators. eyes on the street. Now imagine seeing our daily landscape through the eyes of someone that wanted to break into our homes and our offices. Suddenly architecture takes on a whole new dimension. One that my guest Geoff Manaugh conveys in his new book A Burglar's Guide to the City . Ask any of the 20 and 30 somethings working in tech in San Francisco and Silicon Valley and I assure they think they are inventing the world. 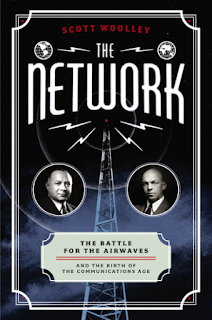 But the fact is that most, including some that have become household names, are merely leaving footprints in the shadow of David Sarnoff. 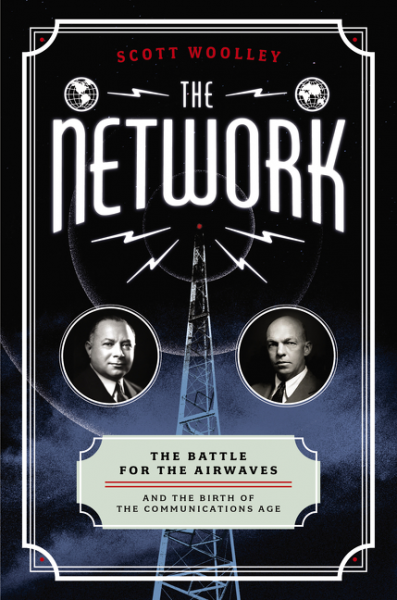 David Sarnoff born in 1891, had a visionary understanding of everything from the telegraph to the future of the internet. And just as Steve Jobs had Wozniak, Sarnoff had Edwin Armstrong. Not surprisingly, that relationship ended in an even worse way. Can You Remember When Bipartisan Public Policy Once Mattered? It’s hard to believe from the rhetoric coming from both sides of the campaign trail this year, but there once was a time when policy mattered. When candidates on both sides talked about programs and public policy. Perhaps it was Reagan wanting to shrink the size of government and drown it in a bathtub, or Bill Clinton declaring that the era of big government is over. The fact is we have stopped looking to government as an institution of proactive change. While it still may have a role in crisis, as we saw in 2008 and 2009, its larger role, to shape the betterment of life in America, has long ago reached a kind of perigee. Perhaps the last time policy mattered was during the time of LBJ and the Great Society. A time when bipartisan politics really worked. 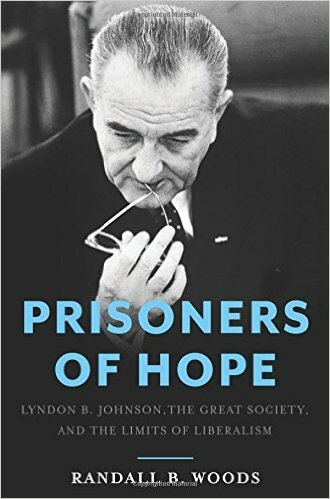 This is the era that Randall Wood takes us into in Prisoners of Hope: Lyndon B. Johnson, the Great Society, and the Limits of Liberalism . How many times have you experienced an even mild form of depression, or anxiety or obsessive fear and wondered “how you got this way.” It turns out the answer may have as much to do with your ancestry as with your circumstances. While today with things like 23andme and the vast array of genetic testing and sequencing we can do, we look for every clue to our health. What diseases we may carry and what medical dangers we may face. 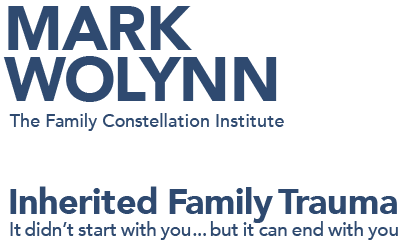 However, we are yet to fully understand how family trauma, the trauma of distant ancestors, might actually impact our genetics in a ways that affect our mental health. 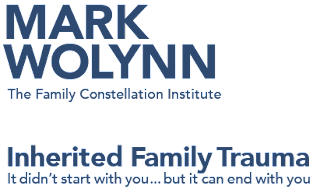 This is the world that Mark Wolynn reveals to us in It Didn't Start with You: How Inherited Family Trauma Shapes Who We Are and How to End the Cycle . We hear it in all the loose talk about health care. About the wonders of medicine, about how we are living longer and about the advances of our doctors. The fact is we are mostly still in the dark ages. The standard treatment for cancer today, poisoning the body, is a little like how we once viewed leaching. As for diagnostics, a huge percentage of today's sickest patient go through a multi year odyssey, just to discover what’s wrong with them… and that’s if they are at a world class medical facility. Nowhere is this more clear than in the story that Pulitzer Prize winning journalists Mark Johnson and Kathleen Gallagher tell in One in a Billion: The Story of Nic Volker and the Dawn of Genomic Medicine .